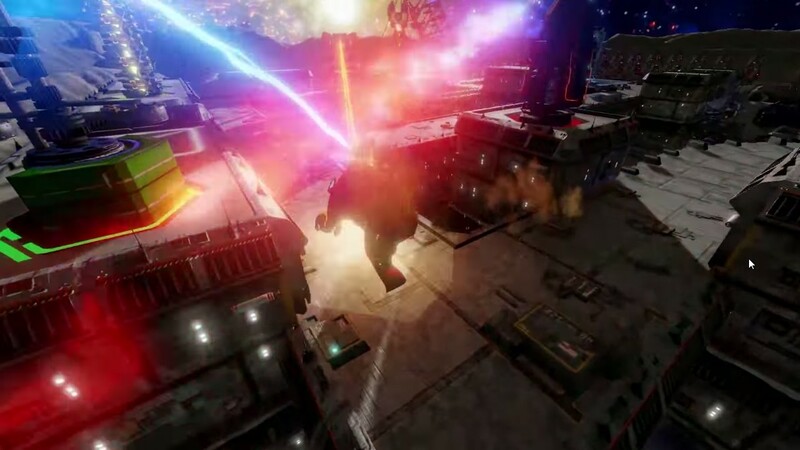 Though the Defense Grid 2 gameplay involves mowing down alien invaders with lasers, cannons, fire, and guns there is still the question of why? The answer seemed simple in the first game, you needed to save your cores and your AI companion. Now there is something brewing in the Universe but I'll let you play that out yourself. Here are the reasons I love this game beyond the amazing storyline. Build Towers, defend the cores. 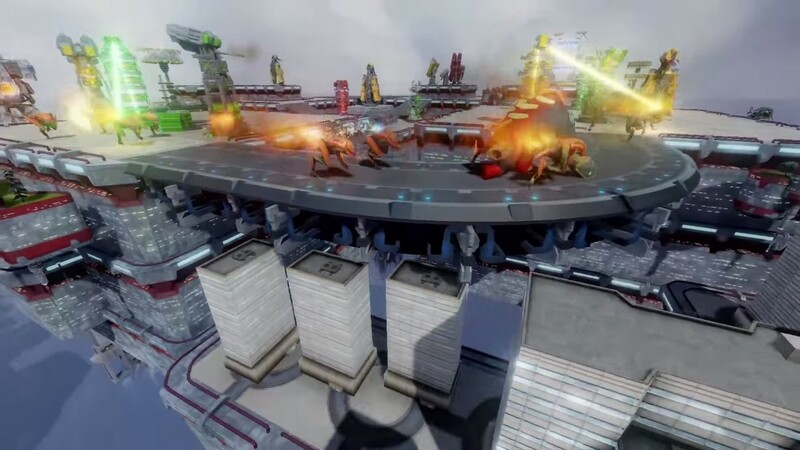 Defense Grid 2 has you mowing down aliens from the start by booting up an old station and defending the power cores from an onslaught of attackers. The action is up front and simple, the game introduces towers as you progress through the story so that you don't get overwhelmed with choices. You start with Gun and Inferno towers to shoot and burn the aliens into nothing but dust and as you conquer more hordes you gain access to more tower layouts. 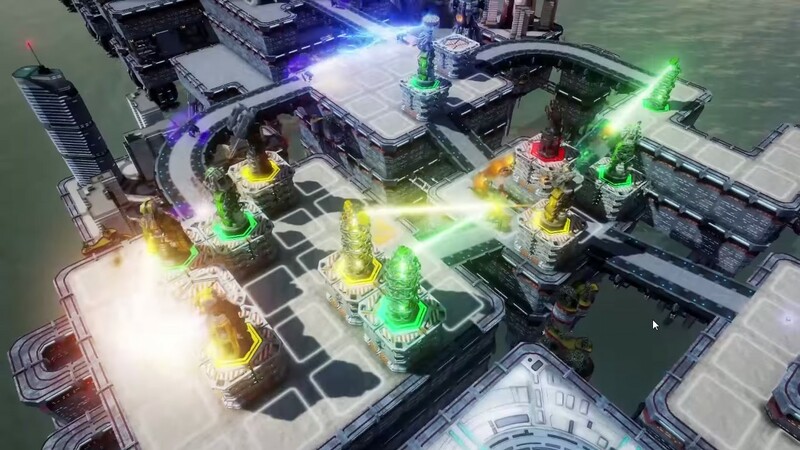 The aliens do get tougher with shield and healing powers coming into play as well as a few stealth enemies but the towers are always there to aide you with the electrifying Tesla tower to chain-lightening your enemies or the long range Meteor tower to bombard the invaders from afar. Limit your towers and the aliens may get your cores. Instead of letting players simply score points in the story and then move on to the next one each map lets you play a wide variety of game types. On any map you can choose to mow down 100 waves of walkers in a terrific exploding splendor. If you need some real challenge you can tie one hand behind your back by limiting your resources or cutting power to your towers unless you hover your cursor near them. 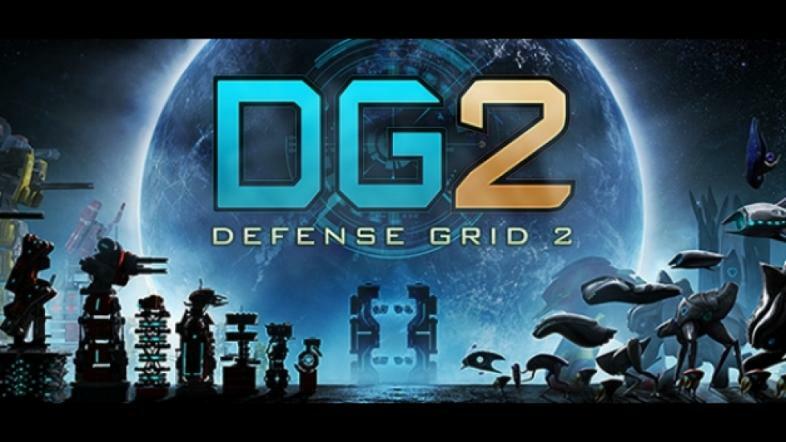 The Defense Grid 2 gameplay has really been amped up from the original with these challenges offering so much more replay value. Destroy your aliens and send them at your enemy. The idea of offering online play in a tower defense game is a little strange to start with but this game finds a way to make it great. Team up with a friend to take down your favorite maps or try out the DG Fighter competitive mode. 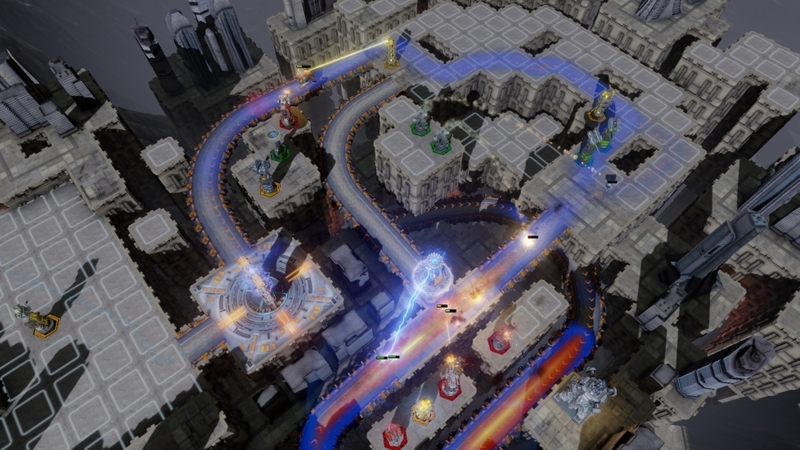 The head-to-head game puts each player on their own map and whichever aliens they destroy end up getting teleported over to the other player for them to take care of. If you can set up an early grinder on your tiles then you can send a mob of walkers at your enemy until they get overwhelmed. Take a look at this beautiful map. The worlds that each map is plotted on are all lushly layed out with cities being sprawled out around your track or space stations groaning online for the first time in decades. Each map feels like you are interacting with a planet in an attempt to defend it from the aliens hordes. Though the cutscenes are usually short they are well directed as the camera weaves its way through the workings of the play field to show beams and girders that add to the feeling of a crafted world rather than just a game map. The Defense Grid 2 gameplay is definitely something to be marveled at but what really makes the storyline is the cast of Ais that bicker with each other constantly. General Fletcher and General Cai are two experienced General Ais that are assisting the player through each alien onslaught. Though they are artificial they seem so alive in their emotion and inflection that you begin to get attached to their characters. Their characterization is like that of GlaDos from the Portal series in that they have so much attitude even for computers. 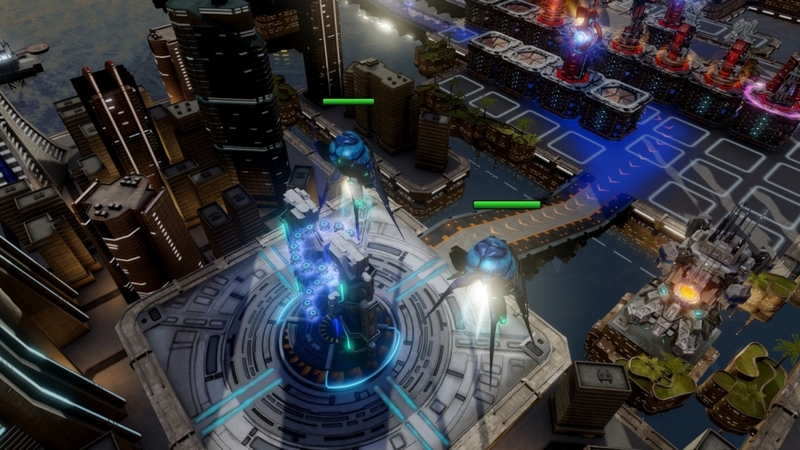 If you haven't gotten yourself a copy of Defense Grid 1 or 2 yet do yourself a favor and hop on Steam. For those of you who have played DG2 what are you favorite features?